Pre-Order New England Clam Chowder & Lobster Rolls for your Super Bowl Party! When the big game hits on February 3, most North Texans will enjoy cheering for (or against) the Patriots and Rams from their home or from a local party. One local family is prepared to bring a taste of New England direct to Patriots fans across North Texas. 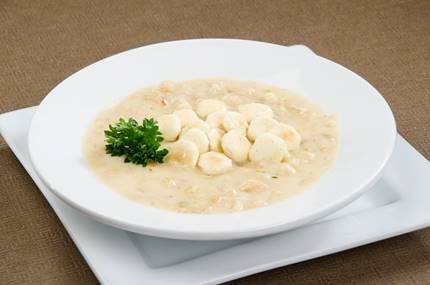 Legendary local fishmonger Rick Oruch and his team at Sea Breeze Fish Market & Grill will be preparing gallons of New England clam chowder (gluten free), miles of traditional New England lobster rolls, clams, seafood and more! Guests can order pints, quarts or gallons of chowder and trays of lobster rolls at either Sea Breeze Fish Market & Grill, or their sister restaurant, Sea Breeze Lobsta & Chowda House in Plano’s Legacy Hall.